At around five years old, Joshua Steimle’s father sat him down and explained the concept of money coming in and going out. That meant he was raised knowing that he wanted to buy something, he had to earn the money to pay for it, and that’s a lesson he is now passing onto his own children. The result was that as a kid himself, he walked around the neighborhood collecting old cans newspaper which he could recycle for money, as well as mowing lawns and doing jobs around the home for his parents. His father worked for NASA on the Hubble Space Telescope, as well as creating and selling parts and inventions to the space industry. What Joshua saw was that with an idea, you can create something and sell it. And that meant he always knew if he wanted to try something, he could, and didn’t have to ask for someone’s permission to do it. At school, he sold sweets and skateboarding goods from the back of his car, until he left for college to study art. It wasn’t until later on, when he saw a pamphlet for business school, that he realized he could actually study business. He quickly switched courses and he felt it was something he was supposed to do. What he learned allowed him to build the foundations for MWI, a now global web design and marketing business which Joshua founded and is CEO of. It wasn’t a smooth or easy journey, but he shares with us what he wishes he knew 10 years ago, so we can all build successful businesses. And it starts by developing a personal brand. In 1999, whilst working for a few guys who were just like him but a few years older, he saw what they had achieved. That was the moment he decided he wanted to do the work for his own benefit and do the same as them. So whilst still at business school, he built a business and had to juggle managing a team of 10 people whilst also studying. Joshua loved what he was learning and being able to implement those lessons, but it meant he failed numerous classes which he had to retake. At the time, the business was called Dan Loper. But when he bought in business partners, they advised him to get rid of the name and change it. Going through numerous iterations, they were finally able to settle with MWI and were given the domain name for free. Being an entrepreneur has proved to be the first job from which Joshua has not been fired from or quit within five months. When he started out, he chose to start a web design business as that was what he knew how to do. With his background in art, he had played around and learned about designing websites. For him, it was a natural choice. As it grew, he was able to bring on more web designers and then programmers too. And by 2004, had started to also focus on SEO and have been involved in the marketing side ever since. 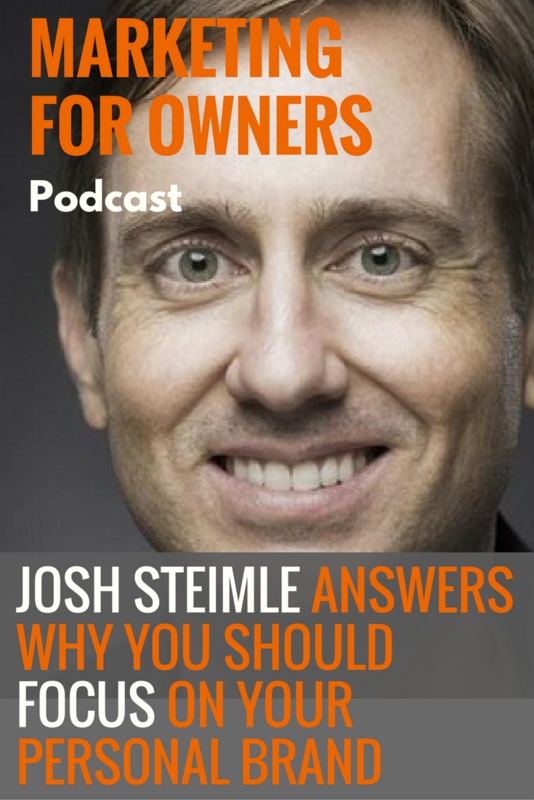 When he began, Joshua had been able to get a lot of good clients quickly. But despite that, had struggled with profitability and actually bringing in money. As a result, he was going without being paid. The events of 9/11 almost put him out of business but were able to recover until they were bought out and he had to start all over again. After that, he went through four years of struggles where he again wasn’t paid at all. By 2007, he and his business were in bad shape. He was putting in 80 to 100 hours a week and racking up over $500,000 of business debt in order to cover bills and wages. His health was suffering, while he and his wife lived in a small place struggling to make ends meet. That was the point when he made some drastic changes and aligned the way they spent the money to the way they were bringing it in. He let everyone go and put them onto contracts, meaning he only had to pay people when the money was coming in. The business also moved out of the offices and into his basement. This worked well, but it left him with a small business. And he had aspirations of growing it much larger. In 2013, he brought in a business partner who had a strong sales background, and it was also the time when he was signed up by Forbes Magazine to write articles for them. Those articles began to bring more attention to the business, and as those new leads came in, the new partner was able to close those deals. By the end of that year, the business had really started to take off. What he hadn’t realized earlier, was that he’d been building a personal brand rather than a business brand. He’d been blogging and writing articles, but what that had been doing was creating a reputation for his name. Before Forbes, he’d just been writing for fun and hadn’t been promoting his blog. Now, he had a channel where a lot of people were reading what he had to say. It showed him what was possible, and gave him success beyond what he could have imagined just four years previously. That was the secret to his success, and if he’d figured out that 10 years earlier, just imagine where he’d be now. By 2016, he’d tried to write as many articles as he could, with over 200 articles in a variety of different publications, and managed this as well as continuing to blog on his own site. Writing for Forbes gave him the confidence in himself. And he realized he was no different from all the people he looked up to and all the other ‘experts’ out there. They themselves would have overcome the same challenges. You can achieve the same as those you admire. Once he’d gotten into Forbes, he was then able to use that as leverage to get into other publications. He created a list of different places he wanted to have his articles published, and he ticked them off. A personal brand is building the brand of you, and as someone people look to for advice. Content marketing is just a tool for developing this. People like to do business with real people, who have a face and story. And as his personal brand grew, it grew his business for the better as a result, doing a lot better than if he had simply posted the same articles on a corporate website. By talking about himself openly and becoming vulnerable, people build a connection with him far more than they would have with a business. They trust him, and then, therefore, trust his business. #AskGaryVee by Gary Vaynerchuck and Youtility by Jay Baer are both good road maps for building personal brands by simply providing valuable content. All you have to do is find the questions people are asking, and then answer them as an expert in your field. Joshua does this by finding out what people are asking about digital marketing and creating blog posts and videos which answer these questions. When people find the answer, it builds that trust. He knows that if he gives away all of his secrets, showing people what he does and how, it’s likely that only 5% are actually going to try implementing it themselves. The rest just don’t have the time and would rather pay someone else to do it, and who better than the expert himself? Instead of just producing content which talks about you and advertising what you do, give away tips and be valuable to your potential customers. If you’re the one telling people the things which other people won’t, your audience will recognize that and you stand out from the competition. Personal branding is becoming much more accessible because of the technology and potential channels which exist. It’s easy to get out to people quickly, and you don’t need anything fancy to do it. And no matter what you do, there is an audience out there who cares about what you know. Anyone can be an influencer or thought leader, and the market is a long way from being crowded yet. When pitching to new clients, he found that he needed to be in touch more with Chief Marketing Officers, so began looking into writing a book geared towards them. As he didn’t actually know much about them and what they do, he looked for a book. He found that a book didn’t exist and instead pitched the idea to a publisher, and soon had the contract to write it. He did it by interviewing CMOs in many of the largest companies and organizations, and their answers formed the book. Since then, his book Chief Marketing Officers at Work has been a great advantage to his personal brand as well as business. Giving him instant credibility, simply giving a copy to his potential clients has been enough to close deals. In 2013, he then also moved to Asia in order to open an office in Hong Kong and has more recently moved to mainland China to open another office. With the intention of creating brand awareness, they started the China Marketing Summit, and with just a preview event in January put together quickly, they had 600 attendees. This proved the potential scale. Since then, they’ve been focused on building a bigger event for July, with over 100 speakers and hopefully more than 6,000 people attending. You can find out more about Joshua and his personal brand by visiting his personal website. On his blog, he gives away useful advice for creating content and becoming an influencer, along with a lot more about digital marketing. And don’t forget to check out his book Chief Marketing Officers at Work to learn from a group of professionals at the top of their game, as well as Joshua himself.